The doTERRA AromaTouch Technique is a simple yet powerful way to provide every individual with an amazing essential oil experience. Developed by Dr. David K. Hill, D.C.. It uses 8 doTERRA therapeutic grade essential oils and combines them with a special massage technique. This oil application brings the benefits of the individual oils as well as the power of the human touch to the applicant. Human touch transmits energy from therapist to client, aiding in the proper and healthful flow of energy. The layering of the oils is created scientifically for optimal benefit. The oils are layered on the spine from sacrum to the cranium with a sequence of motions. and allow the client to completely relax and with the rhythmic motions. They are also applied to the feet along with a lymphatic movement to energize the lymphatic system. The AromaTouch Technique oils smell amazing and can bring calm and relaxation to the body and mind. It also brings an energetic, healthful energy to the muscles and balances the systems of the body. The doTERRA AromaTouch Technique is a special therapy with all the right ingredients! Contact Missy Kidd at (859)462-5531 for an appointment and mention this special! Unlimited passes can be purchased from our office or your individual yoga instructor. 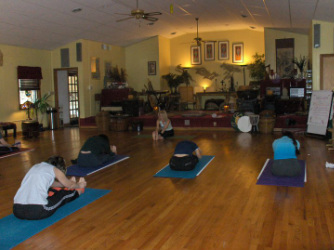 The pass can be used for any yoga class or tai chi class offered at Lifepath. Pass is valid from the 1st of the month that it is purchased until the last day of the month. PLEASE NOTE: If you purchase the pass on the 15th, it will still expire at the end of the month.